I don't really talk about porosity much when it comes to my hair. That's because it's never really been an issue. My hair has medium porosity making it fairly easy to moisturize...except my ends, which are highly porous mainly due to normal wear and tear on my hair, or cumulative damage. Regardless of how gentle you are, due to washing, conditioning, detangling, handling, and more, hair will become damaged in some way. While you can minimize that damage, it is virtually impossible to prevent it all together. This is fine for the most part unless you're trying to grow really long hair, then it can be rather difficult. The cumulative damage will mean that the ends of your hair are more delicate and fragile than the hair closer to the roots. The cumulative damage on my ends has resulted in high porosity hair, and this has been one reason why my length retention has been poor. Wetting my hair more often has greatly helped. But I have been doing other things that have been quite beneficial. For one, I have been spraying my hair with aloe vera juice before applying my moisturizers. The pH of aloe vera juice helps to balance the pH of my hair, sealing down the cuticles and sealing in more moisture. I have also been using a heavier sealant on my ends. I got my hands on Naturally Fly Honey Punch Body Butter (review coming soon), and due to the beeswax, it's perfect for really sealing in moisture into my ends. I also make sure to do more protein treatments more often, specifically twice a month, or every other week. This helps to repair some of the damage to my ends. And while it doesn't replace scissors, it does help my hair retain moisture a little better. 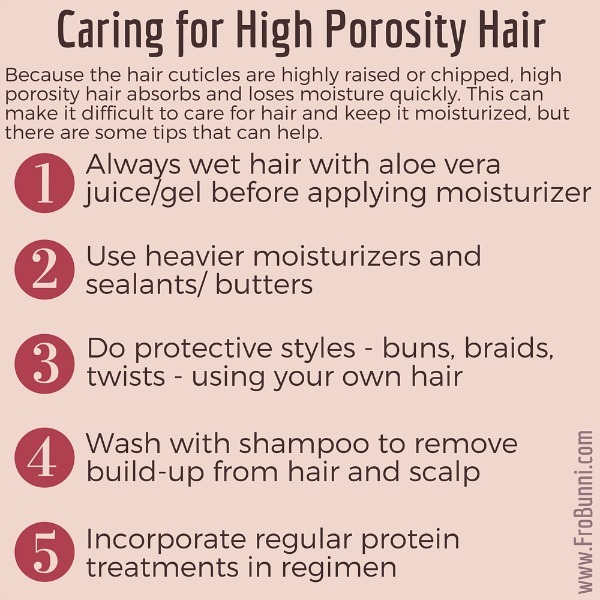 If you have high porosity hair, the above tips can really help keep it moisturized. Also remember to wash with shampoo. The heavier moisturizers and sealants can build-up on hair, and if they are not washed away regularly, it will actually exacerbate your dry hair because adequate moisture can't penetrate the hair's cuticle. 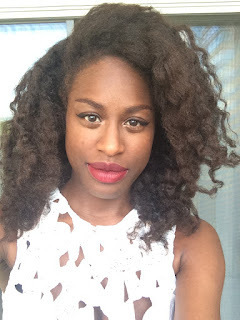 Also, skip the extensions when protective styling. Extensions can "steal" moisture from your own hair, and when it's already difficult to keep hair moisturized, it best to just use your own. These changes to my regimen have really helped, at the very least, prevent split and damaged ends. I noticed a bit of growth, and hopefully the trend will continue. To hip length or bust! Does shea butter fall under heaver sealants? Can I use also ACV instead of AVJ/G?